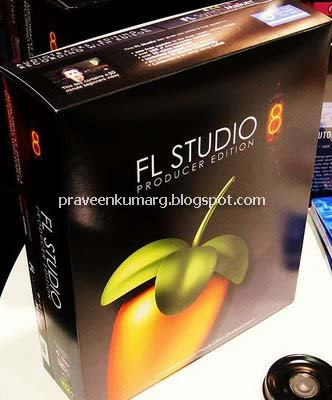 FL Studio is a full-featured sequencer perfectly suited for creation of complex songs and realistic drum loops, with 32 bit internal mixing and advanced MIDI support. The resulting song or loop can be exported to a WAV/MP3 file and all MIDI events can be exported to a standard MIDI file. FL Studio is a pattern based sequencer, which means you create your songs in pieces (patterns) using the Step Sequencer and the Piano Roll view and then weld those pieces together using the Playlist window (the Playlist also supports full-featured audio tracks with hardrrive streaming). Then you can add a wide range of effects to your instruments (reverb, phaser, flanger etc.) and route the resulting mixer tracks in any way you like to create complex mixing chains with ease. * Cleartype not forced on anymore for mixer labels for Win9X platforms (and there was much rejoicing!). * Automation or Note data independently. * Menu icons replaced by global down arrows for a more consistent GUI. * New spectral view in monitor panel. * Event automation now displayed in pattern clips. * Channels in piano roll channel selector are now sorted by channel group. * New list of available patterns when right-clicking the pattern selector. * Patterns named ‘-pattern name‘ now act as separators in lists. * Added mouse wheel support to popup menus & combo selectors. * Added plugin interface thumbnail pictures to project browser (manual process to add) . * Generator smart disable is now compatible with threaded rendering. * Added OGG Vorbis rendering (open source compressed audio format). * Some FL plugins now support .ogg format audio. * Never lose a keyboard performance. The new score logger records all MIDI activity from controller keyboards and the ‘typing-piano keyboard‘ in a 3 minute buffer. * Updated MP3 codec (LAME 3.97). * One-click audio recording now prompts to record in Edison. * Default audio device changed to ASIO4ALL. Sinc interpolator now faster (64point sinc now usable real-time if you have a fast CPU). * FL Studio can permanently learn and remember links to external controllers. * The new ‘multilink’ function + ‘Override generic links’ option. * Tweaking controls on VST(i)s now show a hint message in FL’s hint bar (when possible). * Rendering with latency compensation. * Introducing FL-chan in wallpapers.